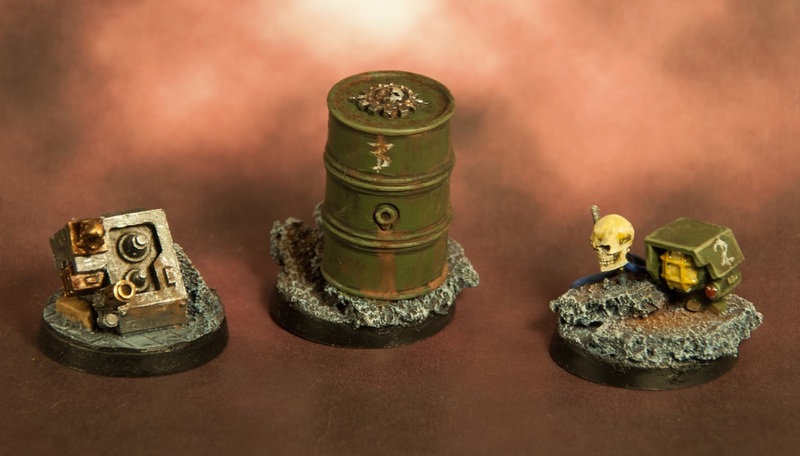 In some of the missions you need to play in 30K there is the need to place some Objectives on the table. Usually, we end up using dice or some random miniature for this, but it's a bit boring, and potentially confusing. 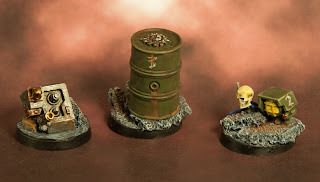 So, I decided to make my own objective markers out of the bits box. I just stitched together some stuff to have a melta-gun with sensors, a barrel full of gas and one of these nifty flying skulls, labelled from 1 to 3 so we can track them properly.